Oana embraced the entrepreneurship path back in 2013 when she created her own company, cOemerge. 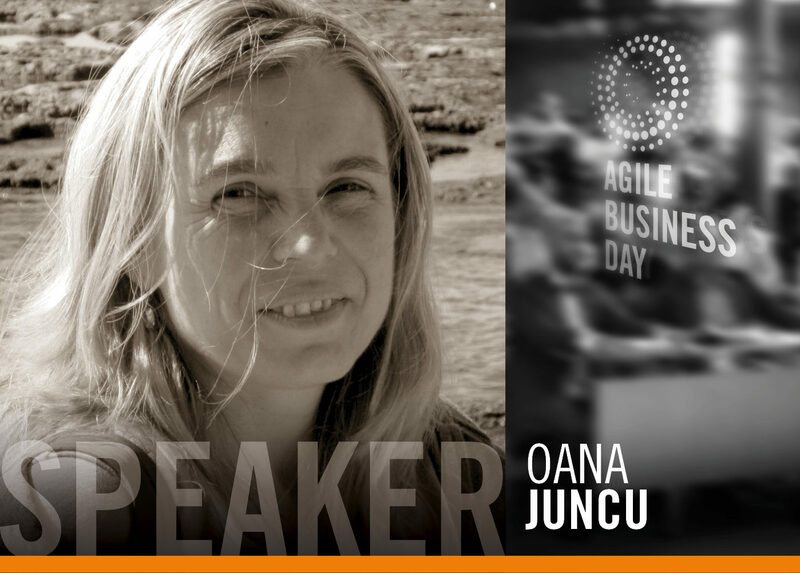 Since then she is acting as an Agile Business DJ, mixing whatever practices related to collective intelligence, from Design Thinking to neuroscience and systemic coaching, may help people become proud of their outcome and delight their customers. Throw a purpose in a middle of a crowd, it will start to self-organize. Acting in a purpose driven way is less obvious for organisations. More a company grows, more dissolved into the Process the original business purpose becomes. This talk presents the 3 stages of Agile Experience Awareness I’ve seen unfolded and shows a way to align to a clear shared customer-product driven purpose for a happier more effective Agile organisation where scaling becomes a side effect. This talk intents to help Reflect how focusing on a “shared purposeful outcome” is a major culture change game player.